Castlevania Lord of Shadow is a unique and interesting new edition of the long running series from the multi award winning developers at Konami. They have done a great job with this game as I found it to be very good indeed from start to finish and really enjoyed playing it. Great game with smooth graphics and game play and well worth the four stars it gets. 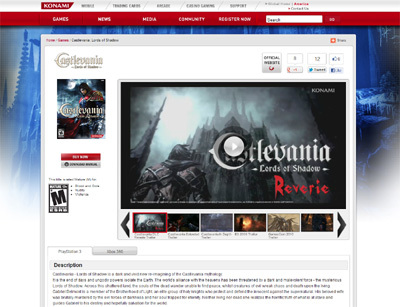 We have also compiled a Review System for this, of which Castlevania Lord of Shadow is Rated as Four Stars, the second highest possible score available from the Game Review Team.